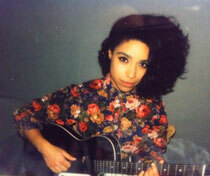 In recent months, British singer/songwriter/guitarist Lianne La Havas emerged as one of the UK’s most buzzed-about new talents, with two critically acclaimed EPs, sold-out shows worldwide, and praise from the likes of Bon Iver and Ryan Adams. La Havas’ debut album, ‘Is Your Love Big Enough?’, will be released in the US on August 7th via Nonesuch Records. The album was recorded in Brooklyn and Los Angeles last summer and produced by Matt Hales (Aqualung). Since her appearance on the BBC’s Later With Jools Holland last year, the excitement around Lianne has quickly spread in the UK, Europe, and the US. Appearing on that same episode of Later... was Bon Iver, which quickly led to an offer for Lianne to open their December North American tour. “As soon as we saw her play it was so refreshing; somebody who could play their instrument, somebody who could use their voice, but in their own way. She is just fantastic,” Bon Iver’s Justin Vernon told Esquire (UK). La Havas recently was nominated for the BBC’s “Sound of 2012” honour and was chosen as one of MTV’s “Hot Tips for 2012.” A native of South London, with Greek and Jamaican parents, La Havas began teaching herself to play piano, write songs, and sing at the age of seven. Her family’s diverse taste was very influential and La Havas began singing backup for other musicians while attending art school for a year before deciding to focus on her own career as a solo artist and songwriter. 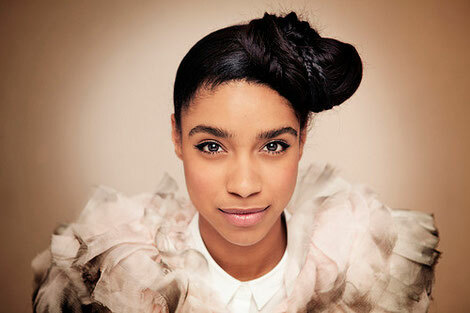 Check out www.liannelahavas.com for more info and album details.